This is a story of Col. Mustang and Hawkeye at a formal military ball. There isn't any real overt stuff but there's a lot of hinting that's why I labeled it mature. There is another part that got written but this stands fine by itself. I do not own Colonel Mustang or Lieutenant Hawkeye. This is a complete fan work and NO profit is made from this. Takes place shortly before the move back to Central. He hated these things, all pomp with less than zero substance. Military generals with their wives and soldiers in stuffy dress uniforms with their dates. Everyone did their best to shake the right hands, smile at the right people and not drink so much of the champagne that your cheeks got a flush and you forgot to bow at the end of your formal dance. But there was little choice in attending. You want to go up in the ranks, you went to the military balls. 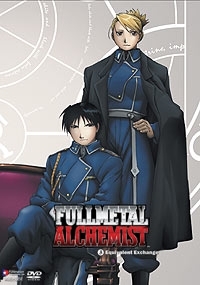 Colonel Roy Mustang resisted the urge to pull at his collar. It was always a bit too tight, but the cleaner had but too much starch in the collar and now it itched like crazy too. The party had been going on for only the better part of an hour, which meant he had at least three to go before he could even think about making an escape. As he smiled and nodded towards another important general and his lovely wife, Roy's eye caught the one thing that was making any of this bearable, his first lieutenant. First Lieutenant Riza Hawkeye was a sight to behold. Female officers were instructed, as they often were at these events, to wear formal gowns. Now, the Colonel knew full well that Riza Hawkeye hated anything frilly and dressy, it just wasn't her nature, but that didn't stop him from selfishly admiring the result of the order for the evening. Dressed in a deep red gown with black accents, she looked like an actress, only real. The dress had a long, full skirt that cut right above the ankles and it just got better from there. The waist was just this side of form fitting and went up at a curve to accentuate without overly enhancing her chest. The neck was modestly cut, but the sleeves were almost non-existent. They were just wide ribbons that just covered the top of her shoulder, leaving the rest of her arms bare. Well, they would be bare except she was wearing long, black, satin evening gloves that went almost to her elbow. Her hair was down but clipped back with red barrettes that drew attention to her cinnamon eyes. With her blonde hair, a dress like that would look almost out of place, but it was winter and darker colors were the norm, and, despite the light hair and fair colored skin, the dress made her eyes seem deeper, darker and just more, inviting. Mustang had barely gotten a chance to say hello to her, but he'd be damned if he couldn't figure out a way to get one dance in. Every time he tried to approach her, she was either being whisked away by some higher up for a dance of their own, or he'd get stopped by someone who just had to see how the Flame Alchemist was doing. Seeming to sense his gaze, Hawkeye turned her head to her Colonel. Her eyes softened for a moment from their professional politeness to one of true happiness. They seemed to confirm what he'd hoped, she wanted that one dance too. As another bigwig came to block his view, this time with a request for Mustang to dance with the man's daughter, Mustang held in a sigh and held out his arm for the young, giggly sugar-puff to take. It was several more hours of things like this before the Colonel had finally had enough and needed to take a break. Slipping away from the main hall, he found a door to the outside that led to a stone courtyard. The cold air was a brisk and welcome change from the ballroom, and the dimness of the full moon against the snow as the only light allowed his eyes to relax for the first time that evening. Several of the more important guests had arrived late, he knew that meant that he'd have at least two more hours of grinning and formality. Finally pulling and loosening his collar, Mustang leaned against the wall and closed his eyes. The sound of the door opening and closing caught his notice and he snapped to attention, only to find that Hawkeye had come out to join him. Her skin seemed to glow in the moon light and the suave Colonel suddenly found his mouth dry. Her slight smile was genuine and she walked slowly towards him, almost as if she was afraid of disturbing him. As she got in front of him, Mustang managed to recover his shock and put his usual smirk back on his face, "So, it seems that the ball is quite a success this year." Feeling slightly foolish that this was the best he could say, he reminded himself that speaking anything else that was on his mind could get him court martialed, or at least slapped. "Yes, sir." Dutifully responding as she was expected to, the Lieutenant tried not to shiver in the sudden cold. The dress had come with some ridiculous wrap thing that was not only impractical to have to juggle all night, it would interfere if she needed to draw her weapon, which she did have on her, of course. So the wrap had been left at home. Noticing the slight shiver, Mustang's gloved hands came up to Hawkeye's shoulders out of instinct, "It's cold, Lieutenant, you should go back inside." The feel of the pyrotex, warm from Roy's skin caused another kind of shudder in Riza, "Yes, sir." But she made no move to leave. She felt the rough fabric glide down her arms to her elbows and then return to her shoulders. "I mean it, the last thing we need is you to catch another cold." Mustang's voice was soft and laced with a touch of concern. "Yes, Colonel, I'll go back in a minute, I just came to give you something." Her voice had dropped half an octave as her Colonel continued to gently run his hands up and down her arms to keep her warm. Quirking his head to the side, "Oh, you did, did you?" His motions on her exposed skin never changed, just slow, steady movements. Riza nodded and reached into a pocket on her dress, she pulled out a plain, white handkerchief. Confused, the Colonel inquired, "Uh, thank you, Hawkeye, but I already have one of those for the evening." Giving a small chuckle that made Roy go slightly weak in the knees, Hawkeye sought to show rather than explain, "Turn around." Mustang's eyebrows shot up, "Why, Hawkeye, what do you have in mind?" His voice was full of mischief. With a small sigh, "Turn around, please, sir." She gave him a pleading look. Nodding, "All right, but I'm warning you, if you take advantage of me my father will insist we marry." Hawkeye rolled her eyes as her Colonel gave her his back. It showed a lot of trust just to be willing to expose himself like that. Not many who went through war could do that, and he only could with her. Mustang felt her fingers, still wrapped in satin on his neck, then the collar of his jacket being pulled and something soft being slipped in and pushed down a little. He realized it was the handkerchief. As he felt her fingers pull away, he thought she let one linger below his ear, but said nothing. Turning around, he noticed he was a hell of a lot more comfortable, "Hey, that's a neat trick. Where did you learn that?" Smiling, "The last time my uniform came back with too much starch, there was no way I could wait until it was re-cleaned and it was driving me crazy, so I improvised." "But, how did you know?" Mustang's voice was quiet again. "I saw you trying to pull your neck away from it, I did the same thing." She turned her head and the moonlight caught in her eyes giving them a warm glow. "Thank you, Riza." The whispered voice and rare use of her name caught her by surprise. Roy reached up a hand to cup her face, running his thumb across her chin. Riza was frozen, unsure of which way to turn or what to do, she managed, "You're welcome, sir." Removing his hand, Mustang shook his head, she so rarely said his name, he'd hoped he could coax her into dropping a shield, but they were all firmly in place. "I guess we should go back inside before we're missed." "Yes, sir." Hawkeye headed for the door, Mustang stayed behind. "Go on, I'll be there in a minute," the colonel told her. Hawkeye nodded and headed back for the hall. Giving a last glance to the moon drenched snow, Mustang took a deep breath. He realized that he smelled something, it was the perfume that Hawkeye was wearing, it must have been on the handkerchief. It was light without being dainty, something like vanilla with a sharp little hint of something like cloves. It filled him with a warmth and comfort that he rarely felt anymore. Heading back inside, he was more determined than ever to have his dance.